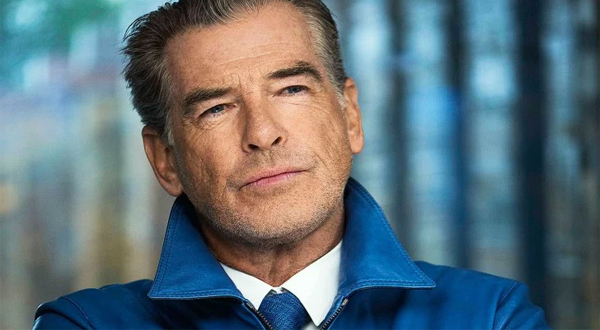 Pierce Brendan Brosna is an Irish actor, movie producer with Greek god features who is better known for his roles as secret agent James Bond in the official Bond movie series. His overall net worth is estimated at $80 million. He is widely popular for giving his role in movie such as The Fourth Protocol, Mrs. Doubtfire, Golden Eye, Tomorrow Never Dies, The World is Not Enough and Die Another Day. Brosnan was born in 16th May 1953 in Dougheda, County Louth, Ireland. He attended Elliott School, which is now known as Ark Putney Academy and got trained for three years as an actor at the Drama Centre London. To portray the role of James Bond in Bond series, he is the fifth actor. Although he owns a net worth of $80 million, but his journey to stardom was not easy as he was from small town and his father abandoned him and his mother and he was raised by his grandparents. Brosnan started his early career as an acting assistant stage manager at York Theatre Royal, making his debut in Wait Until Dark. He got the role after graduating from the Draa Centre in 1975. Within the six months, he was selected by playwright Tennessee Williams to portray the role of McCabe in the British movie “The Red Devil Battery Sign”. After that, he made his brief appearances in various movies including “The Long Good Friday”, “The Mirror Crack’d” and television appearances such as “The Professionals, Murphy’s Stroke”, “Play for Today” and “Manions of America”. From all these roles, he raised up his net worth during the start of his acting career. He was first noticed by the world audiences and many famous directors and producers for his role in Television series – Remington Steele, where he portrayed his flair as an action hero playing the role of detective. He got a chance to act in Bond series in 1995 following in the footsteps of actors like Sean Connery and Roger Moore. It has been estimated that while his first Bond movie the Golden Eye earned him $1.2 million and $16.5 million for his last Bond movie, Die another Day. Similarly, he earned over $38 million for his role in 4 Bond Movies. Tasting the profession success as an actor, he eventually took up producing movies as well and his collective ventures which have enabled him to earn a net worth of $80 million. He founded film Production Company named “Irish Dream Time” in 1996 with his longtime friend Beau St. Clair. From his production company, movies like The Nephew and The Thomas Crown Affair has been released, achieving critical and box office success. The actor of bond movie series, Brosnan owns a lot of assets. Some his luxurious property includes his stlylist and elegance, 2-storeyed Mediterranean Style Orchid House in Malibu, California. He bought his Orchid House in 2000 for more than $10 million dollar. He also owns another lavish home in Malibu, which he had purchased in 1996 for $600,000. He owns 4 astonishing car consisting of “Aston Martin Vanquish”, custom made with several standard options like rockets, guns, ejector, seat and invisible cloacking device, “Maserati GranTourismo”, “BMW Z3” and “Hyrdogen 7”. Apart from being an actor, he is also a true philanthropist as he is associated with many charitable organizations. Since 2001, he has been an Ambassador for UNICEF, which has added charisma to his overall net worth. For his role in various television series and movies, he has been awarded with Golden Globes, MTV Movie Award and Blockbuster Entertainment Awards. All these recognition has also acted as a plus factor for his net worth. 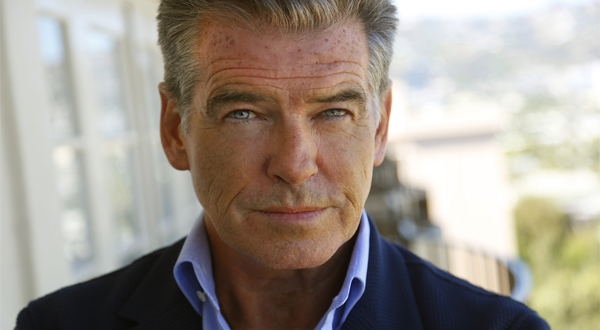 Brosnan still receives royalties from his previous role in James Bond in the 007 films. Today, he lives a very lavish life style with astonishing mansions, cars and a swelled bank balance.